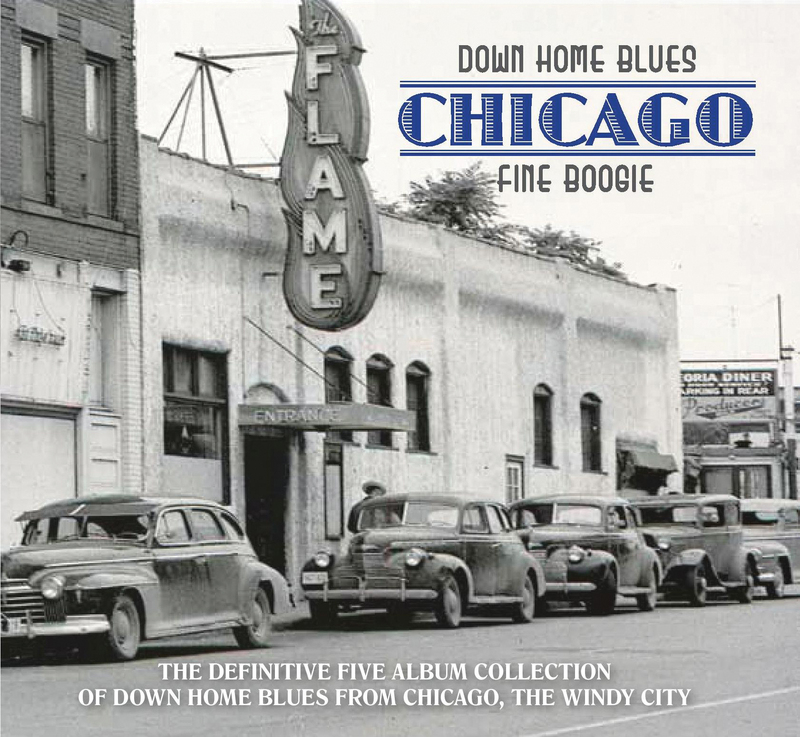 Down Home Blues Chicago is THE definitive collection of blues music from Chicago-based musicians from the late 1940s to the late 1950s. The period from the end of World War II until the dawn of the 1960s, the blues scene in Chicago can rightfully be described as one of its golden ages. 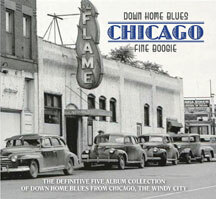 This 5CD set features a collection of 134 extraordinary performances from this golden era of down home blues. Some by most famous blues stars like Muddy Waters, Howlin' Wolf, Little Walter and Jimmy Rogers - with several lesser known artistes. Many of these tracks were unissued at the time, others are alternate takes of issued songs, but are equally as fine. There are included some ultra-rare gems. Included is an 88 page book written by Mike Rowe, blues historian and the author of Chicago Blues, first published as Chicago Breakdown, the definitive works on the history and the thriving times of its blues scene. Fully illustrated including rare photographs, graphics and sessionography. The perfect companion album to Wienerworld's Detroit Special (WNRCD5095) - the definitive 3CD introduction to the down home Detroit blues scene. 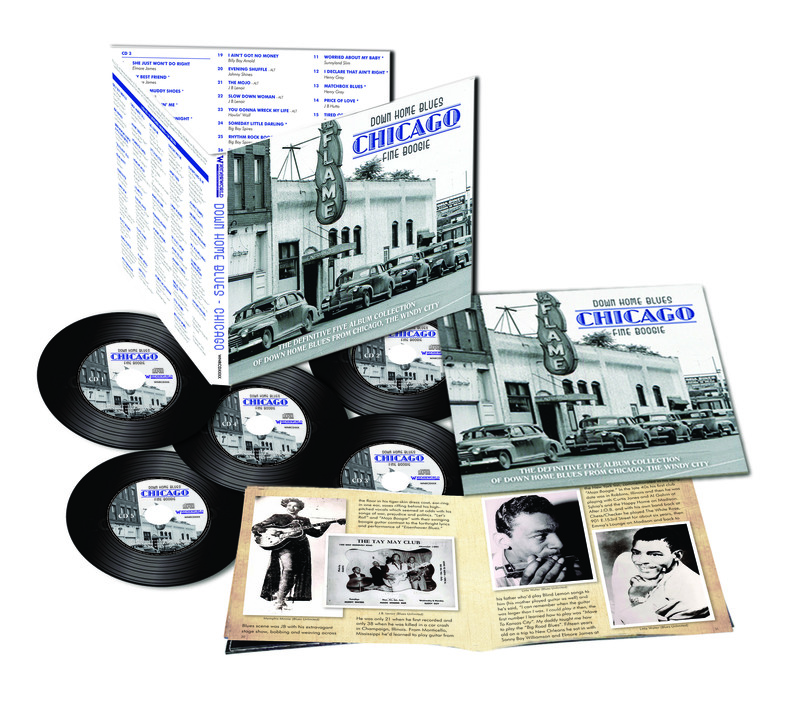 A seriously fine 5 CD collection of 134 rare post-war blues recordings by 41 artists from The Windy City, along with an 88-page booklet replete with new info and rare photographs. It boggles the mind that there are still such important musical gems to be located and mined - in this case, obscure is good!